If you or someone you know has been arrested and charged with Criminal Mischief, our experienced criminal defense lawyers can help. When providing a defense in serious cases like Criminal Mischief, it is best if a lawyer can get involved in the case as early as possible. Like many criminal cases, Criminal Mischief is a very fact-specific crime. This means that the specific type of crime charged—and the potential consequences—will depend on the specific facts that the prosecuting attorney believes can be proven. The earlier a defense lawyer gets involved in your case, to review the evidence against you and conduct an independent investigation, the better the chances of building a strong defense on your behalf. Criminal Mischief offenses in Utah are those crimes that are associated with the destruction of another’s property; somebody’s stuff was broken, damaged or destroyed. The damage of the property has to be unlawful and intentional or reckless. A criminal mischief charge can be either a felony or a misdemeanor; it depends on the value of the property. If the value of the property is greater than $1500.00, a person can be charged with a felony. Utah Code 46-6-106 addresses criminal mischief. 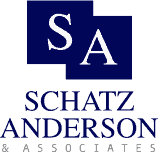 At Schatz, Anderson & Associates, LLC, our lawyers have extensive experience defending clients charged with criminal mischief. Our attorneys have more than 40 years’ combined experience with criminal law. We emphasize providing a true defense on our clients’ behalf. This means conducting an independent investigation and taking the case all the way to a trial if we believe a trial is in our client’s best interests. We do not believe in accepting a plea bargain unless it really is the best option, given our client’s particular circumstances and goals.